A carving pouch/apron with a twist! 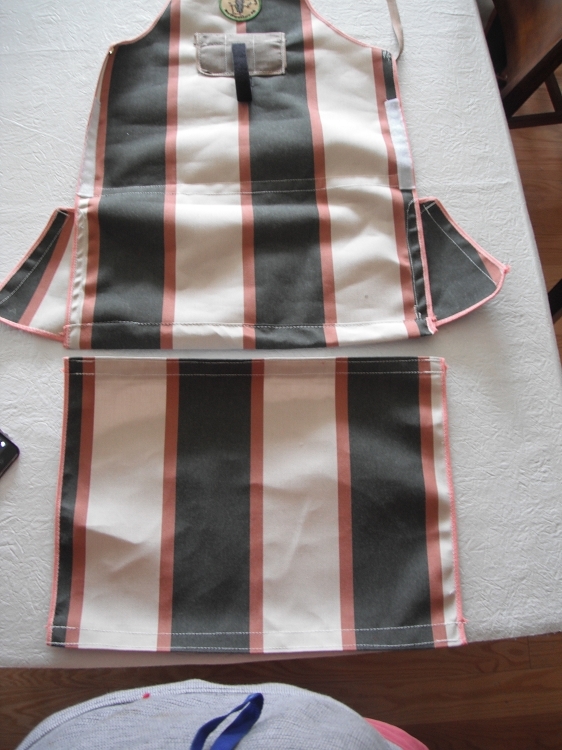 This apron not only covers you from the chest to knees, it has a pouch to catch your chips. Both the pouch and lower half are detachable depending on how you want to use it. Includes 3 slots near the top to hold your favorite writing utensil or similar device. Made from sunbrella fabric which is an exceptional fabric and will last forever for this use. Colors and striping vary depending on current availability.